Francesca, the model/singer/songwriter on the left, wore hers in a curly, casual up-do, while a human sewing and knitting blogger on the right chose a more contrived cowl version, knitted in an Indian cross-stitch pattern. 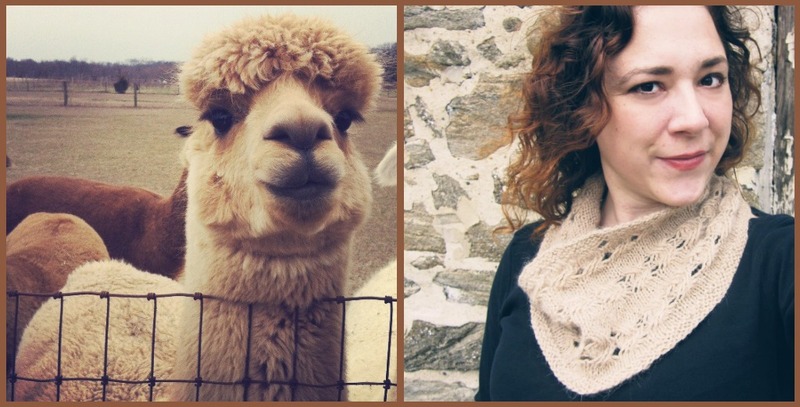 91% of alpacas surveyed agreed that Francesca’s look was more successful, spontaneous, and on-trend. At any rate, alpaca wool in its own natural color is clearly a must-have for this season.